David was recommend to me by a friend, I wanted to accelerate my rehabilitation, following the repair of a ruptured Achilles tendon whilst rehearsing for a musical. I went to see David as I wanted to get a second opinion on my rehab and how my injury should be treated. I had many sessions with David, some of them in the treatment room to breakdown the scar tissue and to improve my range of movement, others in the gym to develop and refine a rehab program that included exercises which where appropriate for my injury to help me rebuild my strength. I would highly recommend David as I felt very comfortable under his care as he knew exactly what he was talking about and has enabled me to regain my confidence and strength. I have now returned to full fitness and have begun rehearsals in preparation for my upcoming role in 20th Century Boy. I suffered a dislocated shoulder in 2011 and Dave was recommended as a physio. Dave has a wealth of experience in sports injuries and has enabled my return to international rugby from a dislocated shoulder, knee surgery and a lower back injury. Dave has provided hands on treatment and guided my rehab through each injury enabling me to return to sport as quickly as possible. Despite a round trip of 70 miles to see Dave I have complete trust in him as a physio and would recommend him to anyone looking for an experienced sport physio. 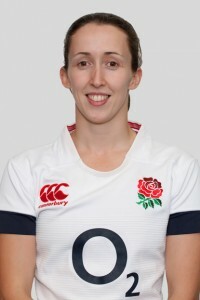 I’ve worked with Dave Stringer as part of the England U18 Medical Team and have seen first hand the expertise and skill with which he treats athletes - I would have absolutely no hesitation in recommending him as an excellent sport physiotherapist. 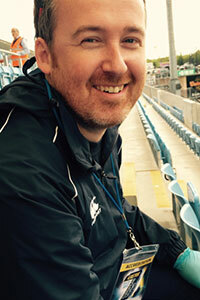 I initially started to work with Dave when he arrived as Team Physiotherapist at Leeds Rugby in 2004. ‘Unfortunately’ I spent a lot of time with Dave after undergoing surgery for Bilateral hernia repair and an ACL reconstruction throughout which Dave thoroughly supported me with effective hands on treatment and a comprehensive rehabilitation programme which meant getting back to playing was as achieved in good time. Since that time I still kept in touch with Dave as I have had persistent shoulder pain (after two shoulder operations later in my career) which he’s managed to clear up on many occasions so I can again enjoy my active lifestyle. I am more than happy to recommend Dave’s services to friends and family when they are looking for an experienced physio to help them get back playing sport or just generally been active. 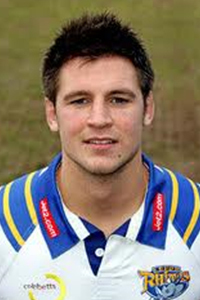 - Simon Worrall - Leeds Rhinos (2007-2010), Leeds Tykes/Carnegie (2002-2007), England 18’s & 16’s. 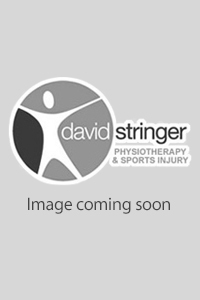 David Stringer Physiotherapy is one of the leading physiotherapy practices in the Leeds area, specialising in all areas of physiotherapy from sports injuries and back pain to sciatica and postural problems.